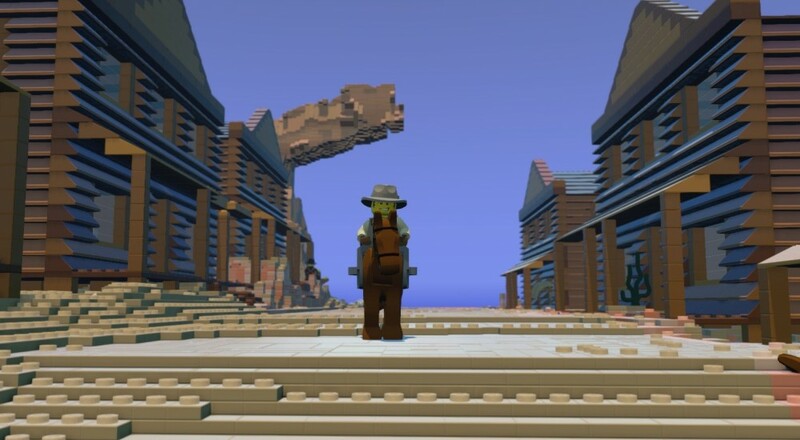 The other LEGO game that Traveller's Tales has been working on, LEGO Worlds, will see its full debut soon. This sandbox title has been in Steam Early Access (and still is, actually) since summer 2015, but it will get upgraded to the final version and be available not only on PC but PlayStation 4 and Xbox One on February 24, 2017. As it is a sandbox game, there's no real set end goal for LEGO Worlds. Much as in Minecraft, you're free to explore the world and build/destroy to your heart's content. The title supports two players throughout this endeavor, either locally or online, so you and a buddy can enjoy being creative together. LEGO Worlds is currently in Steam Early Access and is available for $14.99. It will see a full release on PC, Xbox One, and PlayStation 4 on February 24, 2017. No specific price has been announced for the full version. Page created in 1.1252 seconds.